Leading marketing collective First4Lawyers (F4L) – which has hitherto focused exclusively on personal injury and clinical negligence cases – has expanded into six other areas of consumer law in a major new push supported by more than 2,000 television advertisements a month. These include high-profile slots such as the Britain’s Got Talent final and end-of-season episodes on Sky, delegates at an F4L conference in Leeds heard yesterday. The company is now generating leads for employment, property, wills, finance, family and driving law work, with the TV and online advertisements, voiced by sports personality turned TV presenter Andrew Castle, highlighting the dangers of choosing the wrong lawyer. A fresh personal injury campaign along the same lines has also been launched. F4L said it has a call centre of 38 staff working 24/7 and matters will initially be handled by a limited number of existing panel firms while it opens an application process for firms that want to join panels in each area. 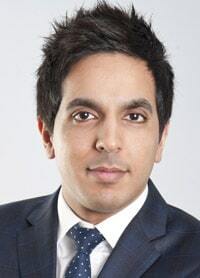 F4L managing director Qamar Anwar said the move was a “significant step” towards First4Lawyers’ ambition to be the number one legal services provider in the UK. “Research suggests that 59% of consumers prefer to contact a recognised and well-known brand for legal advice rather than settling for an unknown solicitor. In addition our client feedback shows that consumers are confused as to what lawyers provide and the different specialisms. The familiarity of our brand – which, unlike others in the market, is not tied to personal injury – reassures consumers that we can find them the best person to handle their work. In February, one of F4L’s main competitors, National Accident Helpline, made its first foray beyond personal injury by buying conveyancing lead generator Fitzalan Partners for £4.3m and more recently said that it is looking for more acquisitions that will help the company expand into other areas of consumer law.